So you’ve got a crowdfunding blog for your campaign and you start writing. Then crickets start chirping and you start pulling your hair out because no one is reading it. Believe me, I’ve been there. It’s the same on any type of blog and is the reason that more than 90% of the blogs started in any given six months stop posting all together. Stick with it though and you’ll start driving a huge amount of traffic to your crowdfunding campaign or can actually start making money from your blog. After just under a year blogging on my two sites, Crowd101 and PeerFinance101, I am averaging $1,500 a month from advertising and book sales. The 20,000 monthly pageviews on the blog mean a read-made stream of supporters for any project or cause. A note though, building a crowdfunding blog that gets regular visitors is not an overnight process even with the best techniques. I’m going to save you a lot of time with everything you can do to grow a crowdfunding blog but it will still be a lot of work. All of the ideas below take time to put together and it will probably be a couple of months before you see more than a few hundred visitors a day. If you are sitting there wondering how to create a crowdfunding blog then you’ve probably missed my previous post, How to Start a Crowdfunding Campaign Blog. 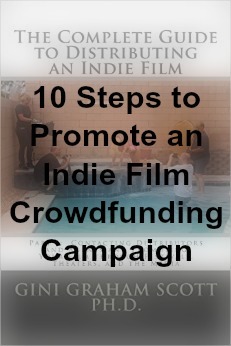 It is a step-by-step on how to create the perfect blog to promote your crowdfunding campaign. Go ahead and click through, I’ll wait. The first step in getting your blog going is…getting a blog. Bluehost WordPress Hosting offers one of the most inexpensive plans for simple websites including a free domain name, search advertising credits and an easy-to-use website builder. There are a lot of ways to get people to visit your crowdfunding blog, some legitimate and some not so much. Forget about all the emails you'll get that promise to send massive numbers of visitors through directory submissions or blog commenting or whatnot, they don’t work and are just a waste of money. I talk more about avoiding crowdfunding promotions scams in another post. Focus your effort on the four methods below and you’ll build quality traffic that will be interested in your crowdfunding campaign, not just people from all around the globe that accidentally clicked on a spammed link. Guest Posting is writing posts for other bloggers to use on their site. What?! It takes long enough to write quality posts, why am I going to just give them away to someone else? Because what is the point of writing posts if no one is there to read them? Other bloggers already have visitors that come by everyday. They already have built up their blog’s search rankings and get lots of traffic from Google. It is a gift when someone tells you they will host one of your guest posts. During the research phase of your crowdfunding pre-launch activities, you are going to be finding other blogs that relate to your crowdfunding campaign. They might be blogs that share the same social cause or cater to people that are interested in a certain product, say tech gadgets. You don’t have to be blood brothers so after a few email exchanges, drop them a line asking to provide a guest post. Propose at least three topics on which you might write about. These should be topics that will interest their readers. Make sure to acknowledge any guest post policies they might have on their site. They might have a certain linking policy you’ll have to follow and let them know that you’ll respond to any comments left by readers. If you don’t hear back from someone, send a friendly reminder in a week but don’t be pushy. If they answer positively then thank them and make sure you write a strong, informative article. You will want to include one link to your website in the content of the article, preferably to a great post, and another link to your main blog page in a one-paragraph description of your crowdfunding blog. You should also provide links to sources of information you referenced but try to limit these to no more than a few. I’ve guest posted on blogs that were scheduled out more than six weeks so you will want to get started on this early if you want to get posts published before your crowdfunding campaign launch. Guest blogging works on several levels. First, it establishes your name as an expert on a subject and actually reaches an audience. Not everyone that reads your guest post will click through to your blog but a few will make it your way. The more related the blog is to your own blog’s subject then the more interested readers are likely to be and the more that will click through. Guest blogging is also important for your ranking in search engines. Google sees that another blog, maybe a blog that ranks highly for a keyword or topic, provides a link to your website. Google uses this to assume that your crowdfunding blog must be important for that topic as well. Build up enough links to your blog from other quality sites and your own posts will start showing up higher in search rankings. It won’t happen over night but it will happen. So with guest blogging, you not only get the short-term payoff from a few people clicking through to find your site but also longer-term payoff from more search traffic. It’s a great strategy. I try to write at least two guest blog posts for each of my two blogs every month. To get started as a new blog, I would recommend you try doing at least one every week. Search Amazon for books published recently on a given subject. Authors are always looking for a way to promote their book so an interview that talks about the book’s subject and links back to the page is a win for everyone. 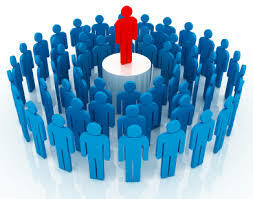 Service providers in your crowdfunding campaign’s area are another easy target for interviews. You’ll need to control the interview to keep it from becoming a commercial. The idea is not to directly promote their product or service but to have them talk about a problem your readers might have and propose a solution. They can include a short paragraph on how their service might help to minimize the problem. Other bloggers are good interview candidates as well but they are often busy with their own blog. You might be able to get a short interview from them if you send targeted questions and just ask them to provide one- or two-sentence answers with which you can write up the interview. I prefer sending questions through an email and just having the interviewee answer them instead of the traditional phone interview. After you get the answers emailed back, format it for an interview-style post and return it to the interviewee so they can check it over before it goes live on your site. This gives them the opportunity to revise their wording and make sure there are no surprises when it goes on your crowdfunding blog. For phone interviews, I use Skype and a handy software program called MP3 Skype Recorder. The software automatically records any conversations you have on Skype and saves the MP3 file on your computer. After the conversation, you can transcribe the interview or have a freelancer do it for you. You’ll then need to clean it up and reformat it for a post. Depending on the length, I like to add additional comments to fill out information for readers. You’ll then email the drafted interview back to the interviewee to get their feedback and edits. While interviews posted on your site do not benefit from linking like you get in guest posting, they offer their own benefits. Most obviously, it is your own content on your site and can help with search rankings. The biggest benefit is the introduction of the interviewee’s social network. If they are an expert on the topic then they’ve probably built up a following of people that respect what they say on a certain matter. When the post goes live on your site, send them an email with the link and ask that they share the post with their social network. You may not have much traffic coming to your site but that interviewee could bring massive numbers of visitors through their tweets, Facebook shares and Pinterest pins. I use interviews on this site frequently to help crowdfunders learn from campaigns that have gone before them. I recently interviewed 11 campaigns about their church fundraising ideas and another on school fundraising ideas. Between the two posts, the campaigns raised nearly $1 million and offered some great tips. This relates to the prior two methods but is worth its own section because you are going to be asking for something entirely different. Influencers might be journalists, bloggers or even just people that actively post on social media about a certain topic. Just as you link to referenced sources in your blog posts, they provide links to outside sources in their writing. Those links help your crowdfunding blog in the same way as a guest post does but the difference is that you didn’t have to write anything extra. Jackpot. I’ll use a self-serving example to clear up any doubts. Between this post and the prior one describing how to create a blog to promote your crowdfunding campaign, I will have written more than 20 pages of detailed information. Now an influencer that wants to provide quality information to her audience could try to reproduce all that content or they could just give a brief summary and refer to my posts through a link. The influencer is able to provide something of value to their readers but doesn’t have to be up until the wee hours of the morning. I get an outside link that can help improve my search ranking and the potential for the influencer’s readers to click through and discover a great blog. So how do you find influencers and how do you get them to link to your material? Bloggers with highly trafficked sites are a good start. If you download the Alexa toolbar it will show you the internet ranking of many of the websites you visit. Alexa is an internet ranking and analytics site that gathers visitor information. Blogs or websites with low rankings, lower is better, will make for great links to your site. Search for your crowdfunding campaign topic or related topics in google. Visit the top ten sites and note the author’s name and contact information. You might have to search around a bit to find an email address but a twitter handle is usually easier to find. If you’ve only got a Twitter name then retweet some of their posts and leave a few comments on their articles for a couple of weeks. Then you can send them a message in Twitter and ask for their email address. My favorite way to build a massive influencer list takes some time but is well worth it and you can have some of the work done cheaply by a freelancer. Go to MOZ Open Site Explorer and paste the URL website address of each result into the search bar. MOZ OSE is another web analytics site like Alexa that provides a ton of information. It is a paid service but the site offers a 30­-day free trial which is all the time you’ll need to build your influencer list. Putting in the URL website address for each of the top ten in search will show you all the sites that link to that website. Make sure you specify “only external” for Link Source meaning you only want external sites that link in to that post. These are websites or posts, more accurately the authors, that passed the information in that post on to their readers through a link. You will want to filter the results by “DA” which means domain authority and is just a way of measuring the importance of a website. Then copy the first 20 or so URL website addresses of these linking pages. This can all be done in Microsoft Excel by just highlighting the text and copy/paste. I wouldn’t try to do it by typing. Copying 20 website addresses that link in to each of the top 10 website addresses that show up in a Google search is going to leave you with a list of 200 addresses. Next, you’ll do what was noted in the bullet above. Visit each website and find the author’s contact email or some other contact information. Just as with guest posts, these influencers are not just going to receive an email from a stranger and immediately check out and start linking to your crowdfunding blog. Start the relationship off with a friendly email asking for their advice on something. Mention that you saw their post on topic XYZ and enjoyed the material. Even after building a relationship over a couple of weeks, influencers are not going to automatically start linking to your blog. You still have to create quality information that they will want to pass on to their readers. There are two ways I like to do this. First, super long and detailed posts like this one that provide a ton of information. It is so much easier to give a few excerpts and link to a 20-page source than it is to recreate all that information. The other excellent way for getting links is through infographics. Interesting graphics that tell a story take a little longer to create, though you can find help on Fiverr that will do the design work, but they are well worth it when it comes to attracting links. There are websites that will generate a code that you can put under your infographic so others can feature the image on their website and a link is automatically created. Only when you have some truly great content that is worthy of a link, reach out to your influencer list through an email. Tell them you respect their expertise on the subject and wanted to get their feedback on a recent post or infographic you created. Not everyone will check it out or respond but even a 15% response rate means 30 people from your list of 200. Some will share immediately through social share buttons on your website and some may even provide a link back to your material in a future post of their own. Social Media is actually a surprisingly small portion of the visitor traffic to most established blogs but is a bigger help for new sites. Numbers vary but most of the established blogs I follow only get about 20% or less of their total traffic from social media and often about half of that is from one site…and it’s not Facebook. Still, with your new crowdfunding campaign blog you are probably not getting much of any traffic from search engines for at least a couple of months. Visitors from guest posts, interviews and influencers will start to trickle in but those take time as well. Social media posts offer the opportunity to get at least a few people to read your crowdfunding blog and it is pretty easy to post and participate on the sites. Some people spend a lot of time on social media but you’ll want to focus your crowdfunding blog on four sites: Facebook, Twitter, LinkedIn and Pinterest. Do I even need to talk about Facebook? With more than 1.3 billion visitors, the site is pretty much obligatory for everyone. 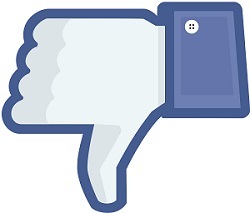 You should have a Facebook page for your crowdfunding campaign and a personal page for yourself. Pasting the URL website address of your blog posts into the updates box on the Facebook page will generate a link and image from the post. Make sure to add a little detail by writing something else about the post. You will want to share the post on your own personal page and within relevant groups but don’t just spam it out everywhere. Social media is about providing relevant information that benefits the reader. Check out and join the Facebook page for Crowd101. Don’t make the common mistake and think that your entire social media strategy is simply reposting your blog posts on the social networks. Social media is a two-way street, otherwise it wouldn’t be social. Sharing other people’s posts will help put you on their radar for a guest post or link in the future and will provide valuable content to your followers. You’ll also want to ask and answer questions to build that truly social relationship. Twitter is another social network but your posts are limited to 140 characters. These tweets can be everything from updating followers on what you’re doing or how you’re feeling to tweeting out a link to your recent blog post. I tweet out my new blog posts four times on the day they are published. This is because the sheer volume of tweets most people get means that yours is quickly buried unless someone is glued to their Twitter feed. With tweets, you will need to include the image manually because it won’t automatically generate from the pasted URL address. You’ll want to include the post’s image in at least one tweet because posts with images are much more likely to be shared and clicked. Follow my Twitter accounts for Crowdfunding and Personal Finance. Again, you will want to share other people’s tweets as a way of providing that social experience and quality stream of information to your community. Updating your message a few times each day on multiple social networks can seem impossible without a good social media management tool like Hootsuite . 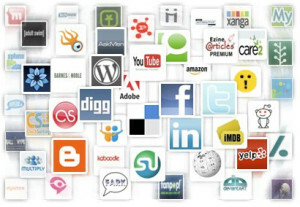 The site allows you to link and manage all your social media messaging from one page. You can even reply to comments and schedule messages in advance from the site. LinkedIn is like Facebook for professionals. You may not necessarily need a profile on the site but it can send some good traffic to your crowdfunding campaign blog. The important thing to remember with LinkedIn is to keep it professional. You are not going to be posting pictures of your cat in the sweater you knitted. Look for groups on the site that might be interested in the topic related to your crowdfunding campaign. There are also a few crowdfunding groups where you can ask for advice and reach out to others. I avoided Pinterest for a long time until I realized that it accounts for the majority of social media traffic to a lot of blogs. Pinterest is a social media site where people “pin” images and provide descriptions and links to the post related to the image. I always thought of Pinterest as only applicable to blogs or websites that had a visual appeal like a food blog. Boy was I wrong! One personal finance blogger I know gets around 1,000 visitors to her blog every day just from her Pinterest profile, way more than she gets from the 4,600 people that have “Liked” her Facebook page. I have only been using Pinterest for about four months for my crowdfunding blog but already get upwards of 2,000 visitors a month from the site. On your Pinterest page, you create “boards” which are areas where you pin images related to a specific topic. People surf Pinterest looking for interesting images and content and will click through your pins to read the related information. It is important to keep your boards and the pins you put in them specific. Visitors can follow your profile or just one of your boards and will get a notification when you pin something new. Check out my Pinterest profile and follow my three boards: Crowdfunding, Personal Finance and Peer Lending. Notice I didn’t include Search as one of the ways to drive traffic to your crowdfunding blog, despite the fact that traffic from search engines accounts for more than half of my own traffic. It’s because I don’t think search rankings can be “gamed” like so many would have you believe. Write good quality material for your blog that focuses on a specific topic and that readers will find useful. I included a few tips on search engine optimization (SEO) in our prior post on how to create a blog but they are pretty standard ideas that go into writing useful and interesting material. Do this and your posts will start showing up when people use Google search. Another post and we still haven’t gotten to really using the traffic on your blog to promote your crowdfunding campaign. Good news though, we have set the stage. If you have followed the process in these first two posts then a couple of months running your crowdfunding campaign blog should translate into some really good daily traffic. We are going to pull the trigger in the next post and talk about ways to turn that traffic into crowdfunding success. I’ve tried to make this post as detailed as possible but please use the comment section below to ask about anything I might have missed. There are whole books written on setting up a blog and blogging so there’s sure to be things I forgot. Let me know if you’re having trouble with something and I will be sure to get back to you as soon as possible. Thanks for some great advice. We have started our own crowdfunding blog and was looking for some good advice on what we can add to it to entice people to join us and stay engaged. Great article and look forward to more advice like this.